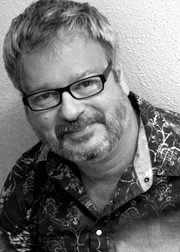 Marshall Thornton writes two popular mystery series, the Boystown Mysteries and the Pinx Video Mysteries. He has won the Lambda Award for Gay Mystery twice, once for each series. His romantic comedy, Femme was also a 2016 Lambda finalist for Best Gay Romance. Other books include My Favorite Uncle, The Ghost Slept Over and Masc, the sequel to Femme. He is a member of Mystery Writers of America.